These 0330 Lyrics will be updated without any notifications. 0330 video recorded by U-KISS is located above. (E) Yo, listen up. This is my tragic story. Just the breakin' of my heart. (E) bamsae neoman saenggakhae naneun jal su eobseo / Why did I turn on this love show? Keep reminds me of the mushrooming. 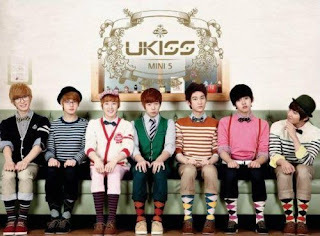 As you notice, we don't have the full precise U-KISS - 0330 Lyrics . But if you happen to have some parts or maybe the full lyrics, please put it on the comment below or submit the lyrics directly. You can also suggest songs that are not in this blog yet. This song make me want to cry. kevin ssi<3 dangsin eun maeu minam aleu!!! jeongmal minam!! i nolae leul geuleohge...don-eul sujib aelbeum-eul gumae hagoja salang!!! love it! ..hoon and dongho!!!!!!!!! !